IRLP node up and running on the air fast! 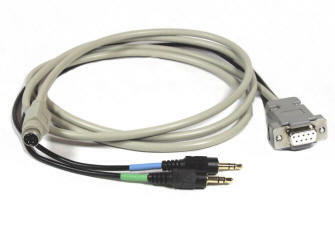 Each cable is 4 1/2 feet in length and comes complete with all the necessary connections between the IRLP Version 3 interface board, your computer and the Kenwood TM-D700 radio. Price per cable is $65.00 US Dollars, plus 6.00 for shipping via USPS Priority Mail to anywhere in the Untied States. Shipping outside the United States will vary depending on location. Orders that are paid via PAYPAL often times can be shipped out the same day.